I'll probably start with my go-tos: Athletic Club, Palermo, Ajax/Feyenoord/AZ, Lyon - all with domestic players only by the end of the first season. If trying to do the same in the Premiership, I'll probably try Everton. Excellent choice! East German football history fascinates me. Bringing Dynamo into the Bundesliga has always been fun. Hertha Berlin - the "sleeping" giant...that has never woken up. Marseille, Athletic Club, AS Roma, QPR - all clubs I've enjoyed playing for...too damn long. With the bundesliga license a German team is good choice. I'm 50/50 though between Dortmund and leverkusen. Question will German national team be there without having to delete files? After doing a season or so with the beta I've decided my first proper long term save will be with US Créteil, they are currently in the French Championnat National 2 which is the 4th tier (not sure if it is playable in fm19 or if I will need to download a db). They are a team from the suburbs of Paris who have recently spent time in the 2nd tier 2013-16 and have suffered successive relegations to end up where they are now. I'm not sure why the club has dropped like this but I want to be the one to bring them back up to their level and ultimately to be the biggest club in Paris and France. I spent a long time trying to find the right club for me and looked at a lot of small German clubs but none of them really felt right. This save appeals to me as I like starting with small teams and building them up, I've never managed in France and I like the idea of taking an even smaller Parisien team than Paris FC and making them the best in the city, the country and then the whole of Europe!! I'm also going for a West Ham save, I really hope somebody makes a thread for them. West Ham was my very last save in FM18 and by far my most enjoyable save in years on an FM! I think Ipswich could be the way. Big ground, rich history, low expectations. Perfect! Brescia look very decent. If you get them out of Serie B you should be able to aim for Europe within a couple of seasons. Not just Tonali, but they a quite astonishing Albanian kid up front. I started as Sunderland thinking I'd take them back to the big time, but they're a MESS! A tonne of injuries, some good players loaned out for the season. So I started again as Győri ETO in the Hungarian 2nd Division, with the goal of promotion and trying to establish them as a regular Champions League side. Everton - Although I am biased as a supporter, Everton often do absolutely horrendous on Football Manager. With a very good transfer window, it would be brilliant to see what you can do with the team. St Mirren - Often a good save of mine, but this year in particular. Recently promoted to the Scottish Premier League, and an awful summer of transfers which led to the departure of Alan Stubbs. You have a very tight budget but some very talented players. Hashtag United - (When a database is released) I mean it's self explanatory, can you promote the brand and lead Hashtag to the football league? Ajax - Their youth is absolutely out of this world. It would be very hard to keep on to some players, but can you turn Ajax in to a world beater? As per usual I'm really struggling to pick a club, so looking for some help. 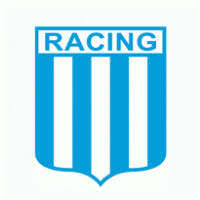 European club. Doesn't matter the division although that will be determined by my other factors. Ideally from a league that is decent rep or has ability to improve. A good core group of promising players and also a decent youth setup. Love joining a club with 3 or more high potential players. Also a couple of already good players to build a team around is great. Not one of the big clubs or favourites from the league. My fab ever save was an ADO Den Haag save. Ideally a little bit of starting money for transfers but relative to the league. Don't expect millions for a league 2 team. Perfect choice for the first save, imo. A lot of great, young players, so you can make most offense minded tactics work. Still, there's 6 teams better than you at the start so it won't be easy. And Serie A has the best rules. You can name 12 subs, minimal non-EU player restrictions. You should consider taking over KRC Genk. You'd be managing a team in a very competitive league. There are several teams that can win the league in the first season. The two most notable candidates are Anderlecht and Club Brugge. They have the strongest squads and are, in comparison to the other teams, wealthy clubs. KRC Genk is considered as an outside favorite, expected to finish near the top of the table. To reflect that, you have a squad that can really challenge for the title. 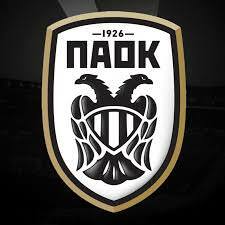 Also, they play in the Europa League, giving you a shot at european glory in the first season. The finances are okay. The starting budget is around 2 mil euros. The best part about KRC Genk? The youth setup. KRC Genk have a proven youth academy and have produced some of the best players in the world (Kevin De Bruyne Courtois, Leon Bailey, etc.). They have a very young team with a lot of prospects. Without a doubt, the club's best player is Leandro Trossard, who in real life is on fire. Other notable players include Malinovskyi (Ukrainian international), Pozuelo, Berge. In real life, they focus on signing young players or developing their own academy players. They have one of the youngest squads in the league and the manager is not afraid to give the youth players a shot in the first team. I think you would really enjoy a save with Genk. They have everything you need. They have promising players with a great youth setup, great core of good players. Im firing up FM as we speak and ill get a save loaded up now! I think this year I'll have my go-to Chelsea save and try a game as Fiorentina from the get go. My first save of the year is Heart of Midlothian as it has been since 2013; next in line are AC Milan (my favourites) and Lucchese (Italian 3d tier, where my roots lie). 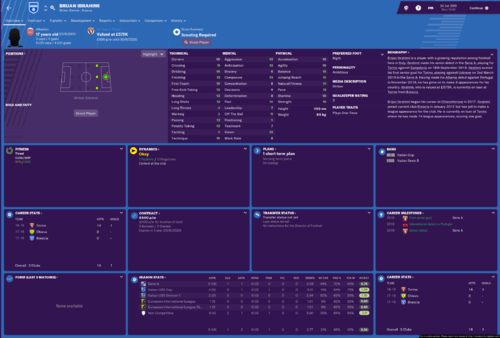 Other possibilities: Dartford (birthplace of the Rolling Stones); Ajax (my hometown team); another Amsterdam team, yet to be founded by me and the FM editor; Genk (because of the post by Makalele - shoutout! ); some decent team from League One (Bradford, Charlton, Oxford, Portsmouth); plus this year I want to coach in a country in which I never coached, like Sweden, Bulgaria, Columbia or Indonesia. This genuinely sounds amazing! Will be the next game I start once the injuries have been toned down slightly! Portsmouth would be a good first save. I think that will be easy to get the promotion at first season and the team is motivated. The thing that keep me with a step back is the academy level. Bayern have £103m in the transfer kitty and an ageing Robben, Ribery, Boateng, Neuer and Lewandowski to eventually replace. The board expect a domestic treble + CL 1/4's, so there's a but of pressure to deliver. No player of any immediate CL quality is going to be cheap, and they'll need to hit the ground running in order to meet the expectations of a demanding board and fans. Could be fun, before moving on to Spain or England. Playing 1. Bundesliga, a kind of "smaller" club with huge potential due to an outstanding youth setup. Training Youngsters in their own academy and letting them rise through the ranks has been part of the DNA of Freiburg for decades, it is one of their core identities (expect this also to be mirrored in FM by the board asking you to use Youth players). Throughout their history, Freiburg has been the stepping stone for players who later played for the national team like Jörg Heinrich, Jens Todt or Sebastian Kehl, and recently have developed and nurtured players like Matthias Ginter (now Gladbach), Maxi Philipp (now Dortmund) or Daniel Caligiuri (now Schalke). A certain Joachim Löw played for Freiburg back in the days when they were still regulars in the 2nd Division. They are also strong in scouting, always looking for hidden gems and players that might have been overlooked by other clubs. Freiburg has always tried to play tactically advanced football, they implemented back four and offside trap back when the Bundesliga's standard model was still the libero, they experiment with pressing, short passing style and possession play, but also mostly have players who can adapt to very different situations. 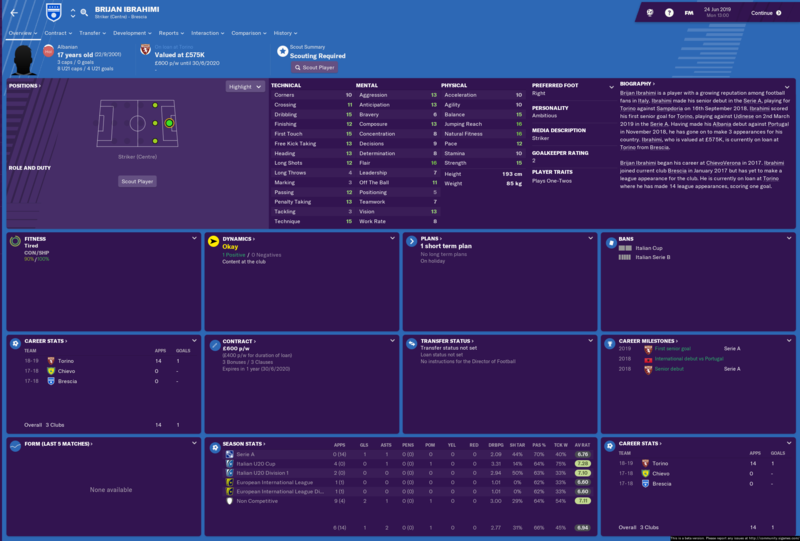 In FM19, watch out for talents like Robin Koch (22), Christian Günter (25), Pascal Stenzel (22), Philipp Lienhart (22) and Roland Sallai (21), who are all First Team players, basically expect a very young squad with lots of potential to develop, completed by experienced, versatile strikers like Nils Petersen and Florian Niederlechner. Be aware though that quite a few of these players are still diamonds in the rough, and Freiburg is not a team that naturally would challenge for a European spot, but rather expects relegation battle every season. So you really can make yourself a name as an FM19 team manager and lead the club to heights they never reached before in their history. Also: Freiburg is a very young and "green" city, expect solar panels on the roof of the stadium (most certainly not implemented in FM), and expect your audience to be full of university students, with a comperatively high percentage of women. The Bundesliga itself is, of course, a quite challenging place to manage, with super giants Bayern München to dwarf everything, and financially strong clubs like Dortmund, Schalke, Leverkusen vying for top spots. Let's shake up that established order a bit! Another brilliant reply, thank you very much. I'd be very interested to read about both and how you fare. Genk is one of the teams I'm considering for FM19 as something like an 'Ajax type' save. Brescia too but I wonder just how long they'll be able to keep hold of Tonali. You should definitely start a save as Genk. Whilst the Belgian competition does not feature teams of the same strength as the Serie A, it is a very interesting competition. It also has a very interesting league structure. First you compete for 30 league games in a normal league system. After those 30 league games, the table is divided into several "play off groups" by which the points you have gained are half. This means that any possible big point gaps between teams are reduced, making this league very intense and difficult. The winner of the "regular 30 league game table" is definitely not guaranteed to be crowned champion at the end of the season. Moreover, if you like to manage Italian teams (and therefore Italian players) you will definitely feel at home in Genk. Genk has a very large Italian community fueled by the massive immigration in the early or mid 20th century when the coal mines in Genk opened. This is why, for example, Italy play their upcoming friendly against the USA in the stadium of KRC Genk. I'm sure the stadium will be sold out because of the many many Italians living in Genk relishing to watch their beloved azzuri in Genk. If you like to get a real feel for the team, I really recommend reading up on the history of Genk as a city (check out the wikipedia page). Let me know how it goes! I'm currently finishing up my first season in charge of Genk and i'm absolutely loving it. Playing DOF as dynamo kyiv now!!! Time to revive Ukrainian football ! I'm having fun with Juventus during the Beta, on full release I'll do my usual Man Utd save to grind to top of the Hall of Fame. Their squad is unreal - Chiellini, Bonucci, Sandro, Pjanic, Matuidi, Ronaldo, Dybala...it's absolutely mental! I started with Fiorentina but that save will now be put on hold because after the devastating news from Leicester City’s chairman tonight, i am starting with the Foxes! Anyone else having big issues with the finances at Genk? Started a game with Newcastle but not finding it challenging since their players seem very over-rated - Ritchie & Muto in particular. The squad hardly needs any work on it! Notes: I'm looking to build a team using the 4-1-2-1-2 Narrow formation (with attacking full-backs) and planning to made this a club staple throughout this one career save, so any suggestions for teams with no wingers or easily disposable players on those positions will be greatly appreciated. Good level of squad's Work Rate would be an excellent addition. I don't know what Norwich's expectations are, but they might be worth a go. I am currently choosing between Leeds and WBA in a save starting in the Championship. What would you guys rather go for between those two? Leeds for me. Fun looking squad and I prefer their kit colors. But seriously: Ipswich or Bolton for a true test (both tend to use their youth facilities IRL). Norwich, Brentford or Bristol City for a more comfortable challenge, but possibly the last two aren't quite so reliant on developing their own. I’ve gone with QPR - they have a couple of good looking young prospects on the game. Also with an Indian chairman, I kinda feel at home as a fresh faced Indian manager coming in - it seems like a believable story! However I have selected low prior experience to start with and the squad already seems wary of me. Plus with no transfer budget and being over our wage budget - I think it’s going to be a good challenge. Have you started up a save on FM19 yet? I've checked Norwich's squad. They have a number of would-be wonder kids in the first team already; Max Aarons (RB), Jamal Lewis (LB), Ben Godfrey (DM), plus a number of guys in the u23 squad who could develop over 3-4 seasons. They also have a lot of decent German players as you'd expect. You should be looking at play offs for sure.